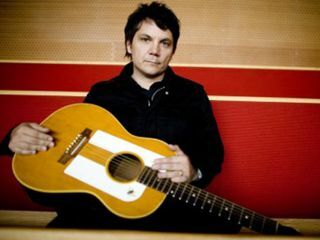 Wilco frontman Jeff Tweedy says that fans can likely expect the band's seventh studio album in the spring of '09. "We'll allow ourselves a little bit more leeway in terms of sculpting the sound in the studio and doing overdubs and using the studio as another instrument," says Tweedy of the changes in Wilco's sound. "Last time around, it was more of a document." Last year's Sky Blue Sky was fairly traditional-sounding alt-country album, and a marked departure from Wilco 's previous efforts, the moody, sonically experimental Yankee Hotel Foxtrot and A Ghost Is Born. Tweedy admits that he"kinda hates" all of Wilco's other albums, because "none of them are a statement that I would be comfortable making right now at this point in my life. They all served their purpose, and in that respect I'm proud of all of them. "But as something that feels artistically in keeping with who I am today, I think that they are inevitably going to fall short of that as time goes on. I mean, they just don't continue to mean the same things to me, and a new record is kind of where it's at."